Hollywood, CA, United States (4E) – “Game of Thrones” Season 7 is expected to be a big year for Jon Snow and Arya will reportedly assassinate someone for Sansa . “Game of Thrones” Season 7 will not be coming until 2017 but spoilers and rumors have been out many times specifically about what will happen with Jon Snow. It was reported that after the “Game of Thrones” Season 6 finale confirmed that Jon Snow is the son of Lyanna Stark and Rhaegar Targaryen . 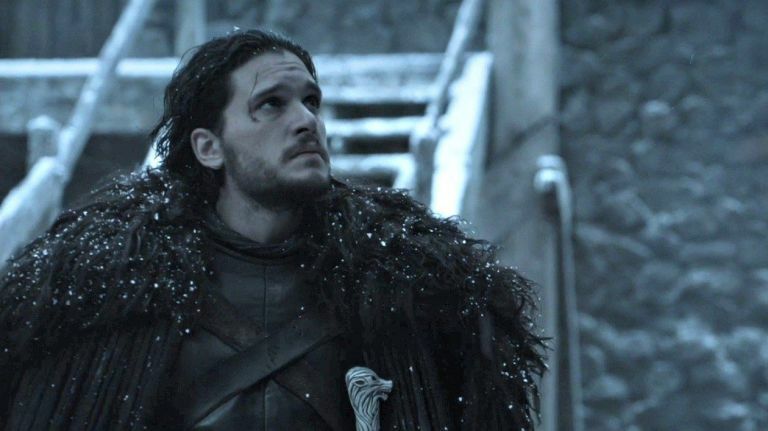 However, it remains unclear what the real name of Jon Snow is because Lyanna whispered to Ned the phrase “His name is” without finishing it before she lost her breath. It is rumored that Jon Snow’s real name is Jaehaerys since he is part Targaryen so he would have been named after his great grandfather and great-great grandfather. One more big event for Jon Snow is his meeting with Daenerys Targaryen on “Game of Thrones” Season 7. Set photos of “GOT” showed the two walking together so the meeting will most likely happen on “Game of Thrones” Season 7.